Looking for a sweet way to spend a Summer Saturday Evening? Check out our Twilight Cookie Train! 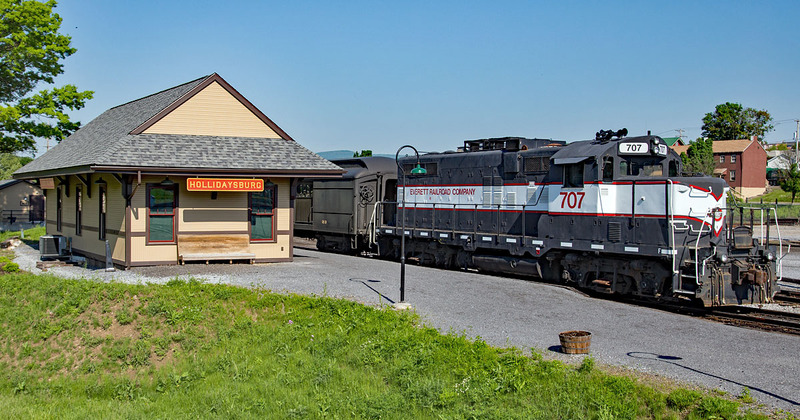 This diesel-powered train ride will depart our Hollidaysburg depot at 7:00 pm and head towards Roaring Spring. While aboard, riders will enjoy complimentary cookies and refreshments. Experience a ride at dusk for a fresh, new view from the rails. The train will return to Hollidaysburg around 8:45. Please note: this train does not stop at the Roaring Spring Depot.